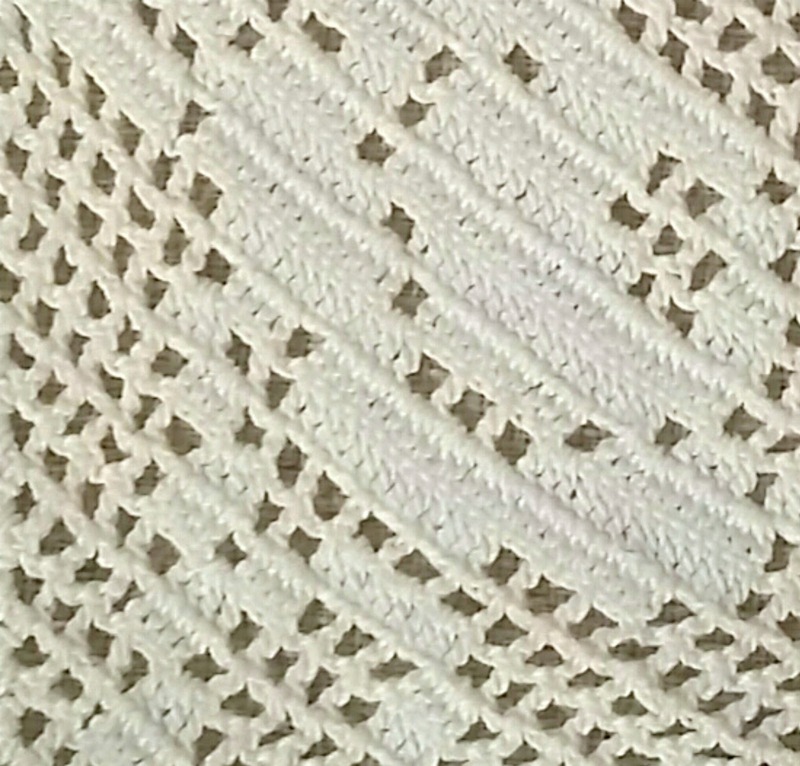 Stitch Story: Vintage Micro Filet Crochet! 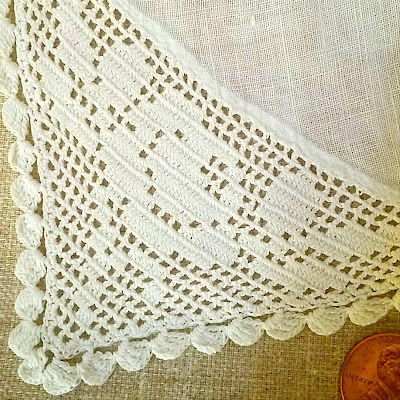 On my recent visit to my childhood home in Oregon, I was going through a collection of vintage handkerchiefs that belonged to my grandmother, and I came across this delicate and beautifully worked piece of filet crochet. I have never seen filet worked on such a small scale. 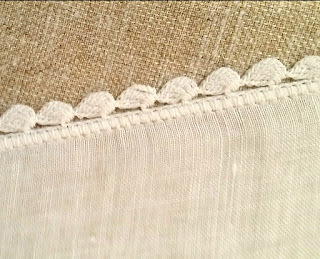 Such perfect stitches! 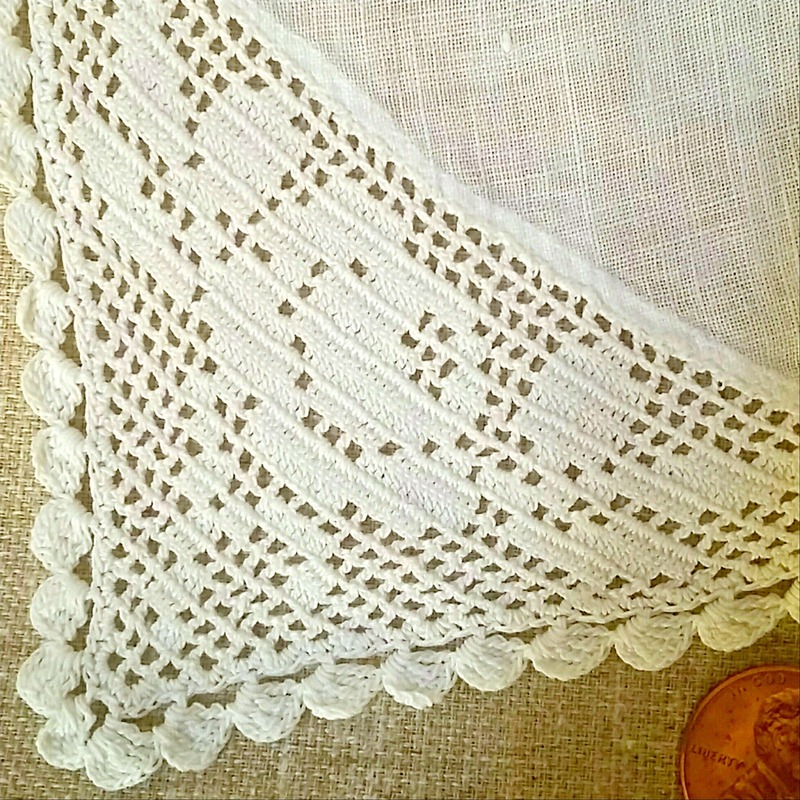 I only wish I knew which of my relatives made this and that I could crochet with her and see more of her work! I am trying to think of something special to do with this handkerchief. It is too amazing to be kept in a drawer! 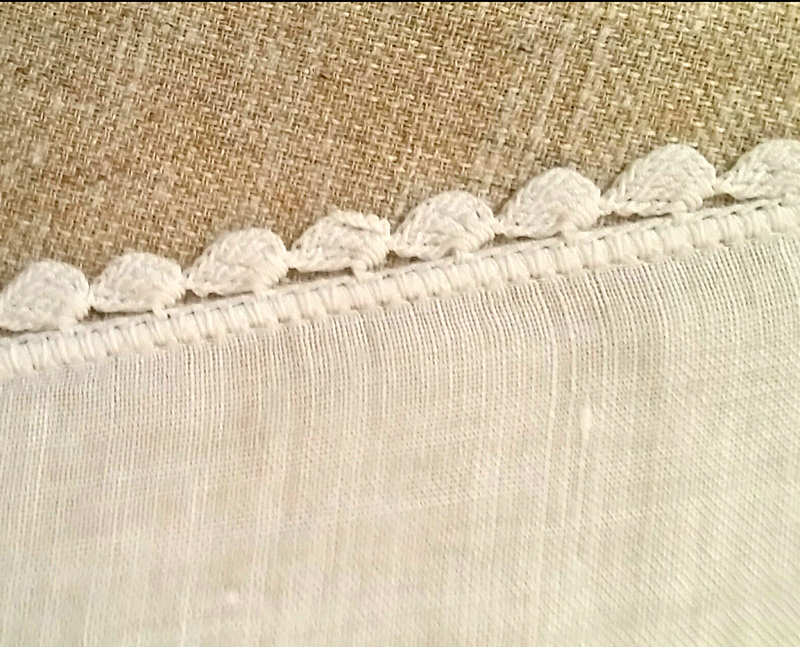 See how well spaced the stitches are, and how neatly she has worked into the fabric? 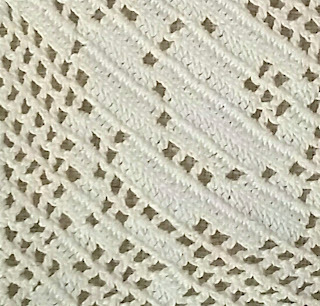 She must have counted the threads in the fabric between stitchet to space it out so well! That is a great find. So perfect. Definitely needs to be displayed.